Exceptional amenities, the nicest staff in town and a convenient location just across the water from Manhattan make the Wyndham Garden Long Island City Manhattan View an urban oasis. 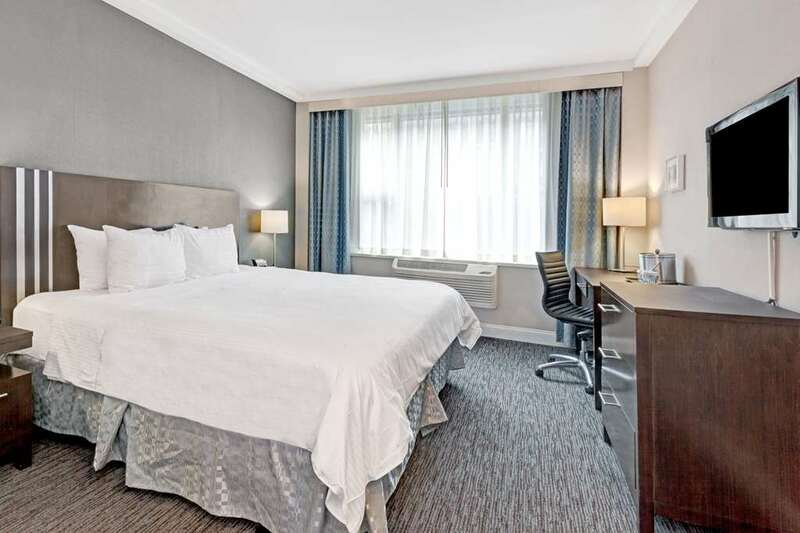 Just a short taxi ride or one subway stop away from Manhattan, this hotel is also only 8 miles from LaGuardia Airport and 10 miles from JFK International Airport. Its eclectic neighborhood offers museums, galleries and great dining. You will enjoy the complimentary wireless Internet, 24-hour business center with copy and fax service and 24-hour fitness center. There is an on-site restaurant, open for all meals and room service, with full bar. Pets are welcome at this hotel. Spacious guest rooms offer flat-screen TV, MP3 dock, guest-controlled heating and cooling, Wolfgang Puck coffee and Numi tea. Select rooms offer city views and refrigerator.